This house is part of the historical and architectural heritage of the city. It has a colonial style with interior garden, social room and games. The house has been totally restored and has some historical objects found during its restructuring. It also has barbecue, hammocks, large kitchen, laundry, a bar where drinks are offered and wi-fi. 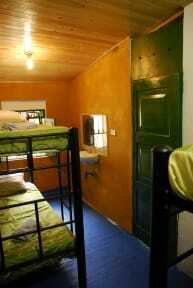 The hostel is located in front of the journalists' park, 200 meters from the gold museum, and 50 meters from the urban bus and taxi system. We are in the historical center surrounded by supermarkets, cafes, churches, cultural events, bars, restaurants. The airport is 20 minutes away. 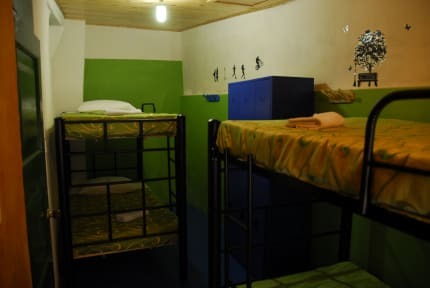 The rooms have comfortable and always clean beds, lamps and electrical connections available. All rooms have views to the interior garden to the bar and the events that are there or also to videos and projected films. There are three types of rooms: shared for 4 people in cabins, shared for two people (you can join these beds) and private rooms with king-size beds. Breakfast not included - 8.000 COP per person per day.